Are you going on a business trip and would you need to bring your paraphernalia to set up shop? Or perhaps you are embarking on a vacation and you will need to bring some equipment and all related materials to enjoy your hobby. Either way, you can rely on the cargo and passenger carrying capabilities of the Beechcraft 1900. This aircraft has a space equivalent to 19 passenger seats plus it’s even agile enough for you to take off and land on short strips. With its STOL (Short Take Off and Landing) capabilities, the Beechcraft 1900 lets you have the option to choose an airport nearer to your intended location. You can even fly to remote areas or less crowded airports. A standard Beechcraft 1900 usually has WiFi so you can stay connected with your friends, family and professional networks while on board. Within the next hour, you can enjoy the plane’s sceneries out the window and you may even try out the operator’s in-flight entertainment system. The details of your aircraft’s features will depend on what your service has initially laid out. Know more about the interior and performance specifications of the Beechcraft 1900 and charter for your very own private jet today. As you charter for a private flight on board the Beechcraft 1900, you’ll find how its interiors may accommodate for freight and passengers alike. This aircraft is also widely used as a corporate jet. Thus if you and your company’s team mates will be traveling to a conference, this jet would be more than enough to bring your essentials. The most updated ones have pull out tables which may have small television panels for each passenger. This feature lets passengers enjoy their snacks throughout an hour long flight, plus they may also use it as a platform to place their laptops to check their emails. Given its speed, passengers can take more time to leisurely enjoy some picturesque landscapes, mountains and towns which they’ll be flying over. If you’re mostly travelling through awesome terrains, it’s even more advisable for you to charter up a private flight on board the Beechcraft 1900. 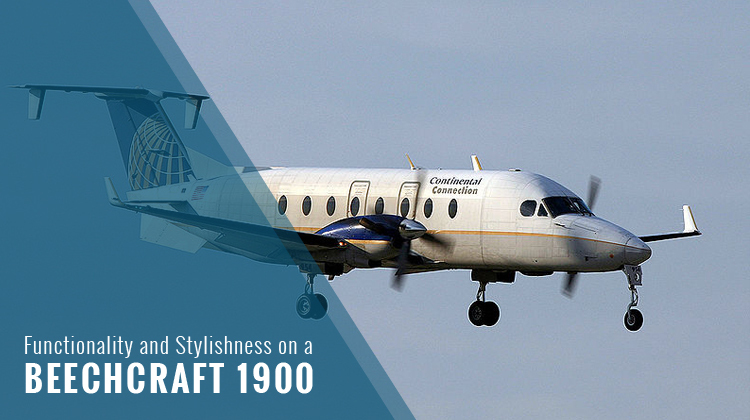 Based from its specifications, the speed of Beechcraft 1900 lets you reach its maximum ceiling within less than 15 minutes. It would also be necessary for you to confirm the number of passengers who’ll be riding with you on board the private jet. You must also settle on your trip’s allowable baggage weight with the operator. This way, the pilot can maximize the best routes and schedules as part of your flight plan. 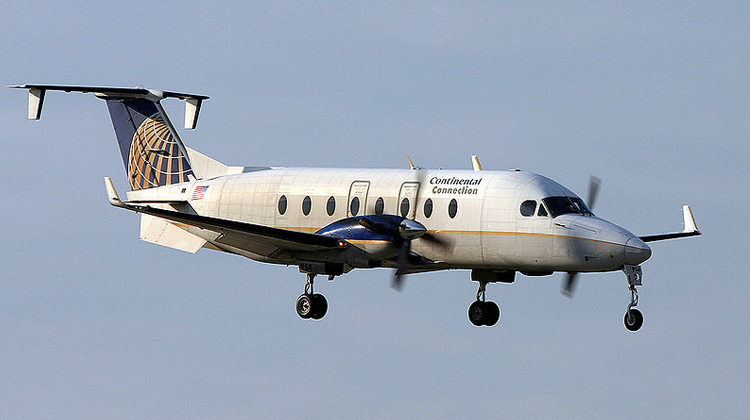 Manufactured by Beech Aircraft Corporation, the Beechcraft 1900 had its first flight in 1982. There are over 690 of its units which are being flown all over the world, and its primary users include Eagle Airways, Ameriflight, Great Lakes Airlines and many more.